Record the Wired or Wireless MAC address on this screen. It should be in the format "00:00:00:00:00:00." You're going to want the MAC address that corresponds to the method that you are connecting with. At the Xbox dashboard, go to the Systems area. 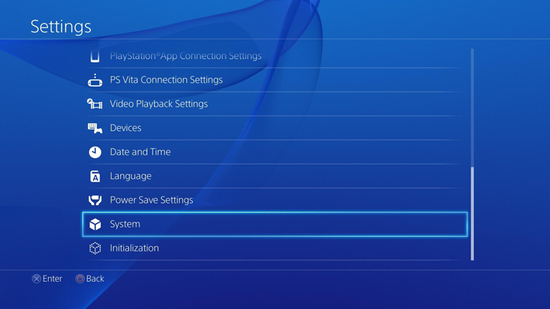 Under System Settings, select Network Settings --> Configure Network. 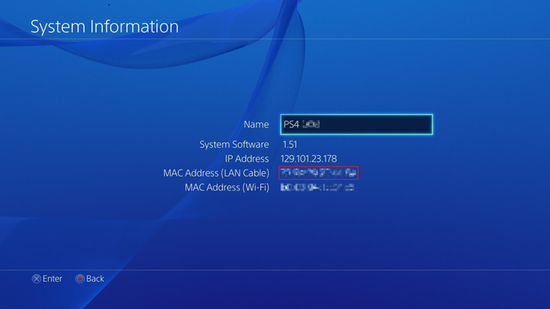 Make sure that under Basic Settings the IP address is set to automatic. At the bottom of the screen, record the MAC Address. Turn on the Xbox with no disk in the tray. 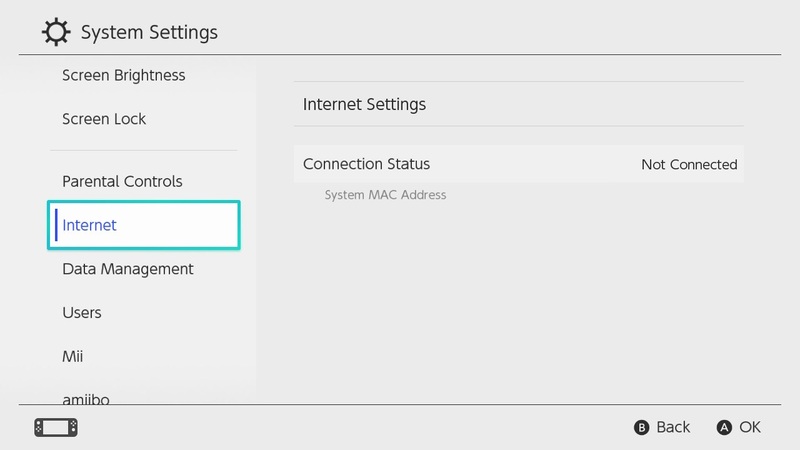 Under the Xbox Live option on the main menu, select Settings --> Network Settings. Select IP Address and confirm the configuration is set to automatic. Then go back to Network Settings and select DNS Servers to confirm that configuration is also set to automatic. MAC address will be listed next to MAC on the right hand side of the screen. 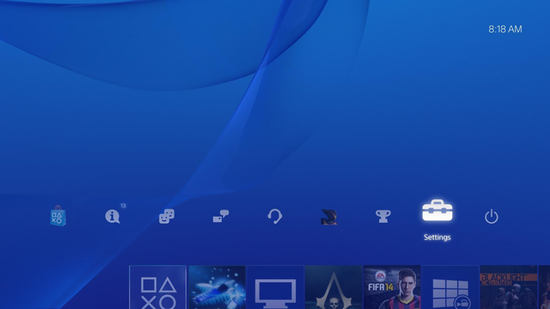 Power up the PS3 without a disk. When the Network Settings list appears, select Settings and Connection Status List. Scroll down the page and record the MAC address. Turn on the PS2 console with the Network Adapter Startup Disk inserted. Once the disk has loaded, select ISP Setup. Agree to the license agreement that pops up. Choose Local Area Network (LAN) for your connection type. Select Automatic Configuration --> at the Connection Test screen select Advanced. You will now be at the Advanced Broadband Settings window. Ensure that Automatic is selected under DHCP hostname, and the MAC address is located at the bottom of the screen. 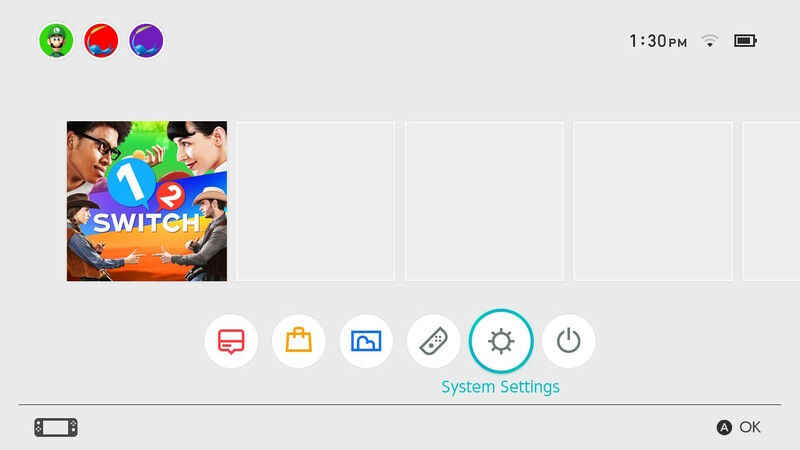 On the Wii Channel menu, select the round Wii button on the bottom left of the screen (the Wii Options button). 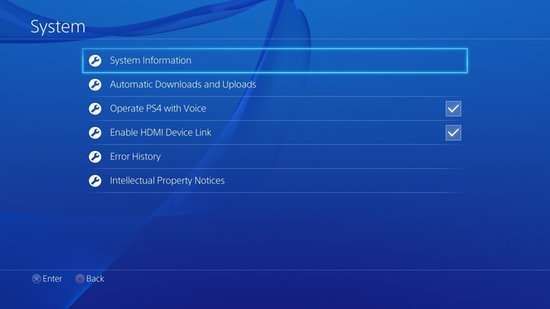 Select Wii Settings --> scroll over a page and select Internet --> Console Information. The first line will be the MAC address. Remove the Broadband adapter from the Gamecube. The MAC address is printed on the underside of the adapter.